Let’s stand with the brave individuals who have spoken up about the abuse they've experienced. It takes all of us, together, creating safe places to share our pain so we can make wholeness and healing possible. What: We’re creating a scholarship program for those who have been abused and shamed at the hands of churches and clergy. We are partnering with a counseling group that specializes in areas of power, clergy, and sexual abuse. 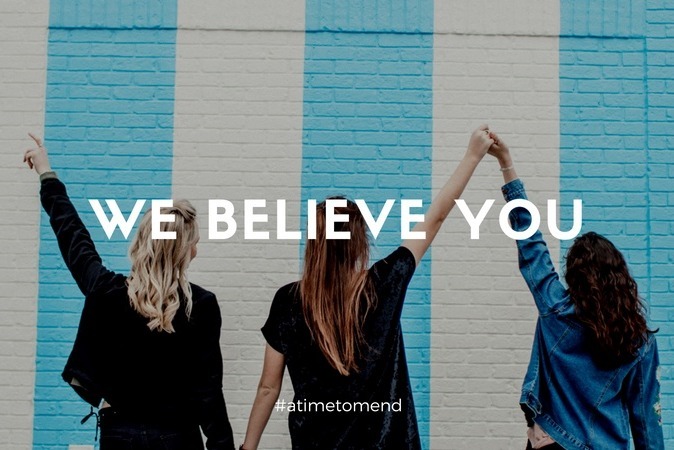 We are tremendously grateful to the brave survivors who wrestled this darkness into the light and believe it's time to honor their pain and empower their healing. 100% of funds raised will be designated as a counseling scholarship for individuals who are seeking help in healing from their traumatizing accounts of sexual and power abuse. These sessions will be confidential, can occur in person or over the phone, and will also include video, podcast, and book resources. We hope to see this concept of helping victims to heal through therapy grow and become a national and perhaps even global movement in months ahead. Why: We believe in the potential of authentic healing. We believe that if we learn from the example of courage and honesty these suffering men and women so bravely display, we can find new ways to be the church for years to come. We know God’s word invites us to bind up the brokenhearted, defend the oppressed, advocate for the marginalized against the powerful and to partner with Jesus in healing their wounds. One of the most redemptive things we can do as Christ’s followers is to partner with God in the restoration of all things. This includes healing and wholeness in Christ as victims bear witness in a safe environment to the devastating things they have experienced. Ways to Share: This is a grassroots effort and every cent raised goes directly toward counseling sponsorships for abuse victims. To that end, we would love your help in spreading the word! You can click the social sharing icons on this page, grab one of the social graphics and/or suggested posts below, or just share in your own words, we are so thankful for your support! 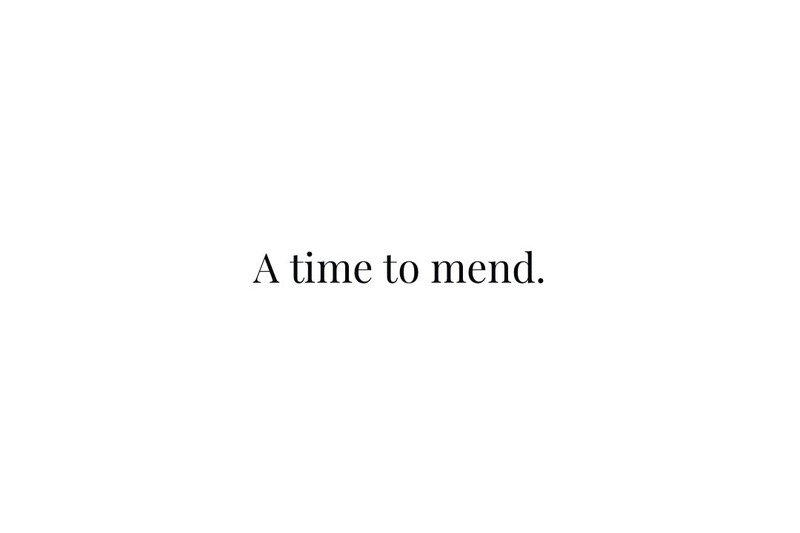 Who: A Time to Mend was started by a few individuals but this initiative belongs to all of us. 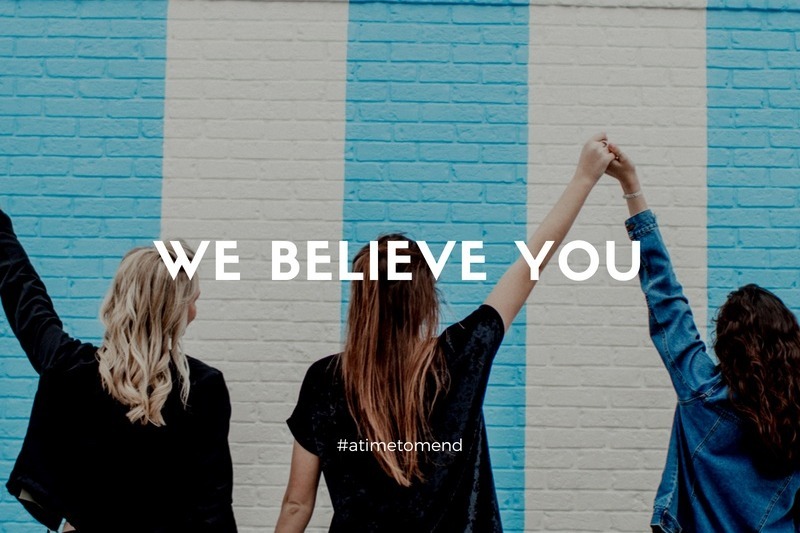 Our hope is that you will join our mission of bringing hope to victims of abuse by creating accessibility to healing tools for those who need them.